Are you a high school player in Richmond looking to compete at the BC or Canadian Ultimate Championships? If so, then Strike (formerly Savage) Ultimate is for you! We focus on providing a positive environment that emphasizes respect, fair-play, teamwork, hard work, and commitment. By the end of the summer players will have a sense of accomplishment, significantly increased knowledge and skills, a new set of friends, and many fun memories. If you have any questions, please contact the Strike Coordinators via strike@vul.ca. 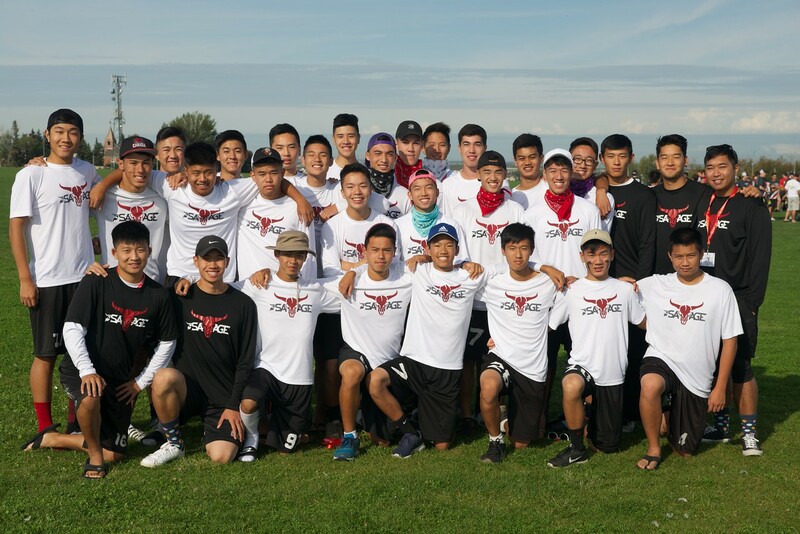 Touring: For players who intend to compete at the Canadian Ultimate Championships (CUC). Regional: For those who don't qualify for Touring, or aim to compete at BC Championships (BCUC). Each team has 2-3 dedicated and qualified coaches. Practices are 3 times per week: usually 4-6 pm or 6-8 pm Tuesdays & Thursdays, plus Saturdays 9 am - 12 pm. Players must tryout to qualify for the program. For 2019 tryout dates and locations, read more and register for tryouts. Players must complete a number of steps to be eligible to play. See Player Info for full details. We need dozens of energetic and qualified coaches! Read more and apply to be a coach. Fees cover fields, facilities, tournament fees, jerseys, equipment, coaches, administration, and Ultimate Canada registration and membership. Does not include mini-nats. For Touring teams, fees also include transportation to and from CUC (buses), accommodation and on-site transportation at CUC. If a player needs to withdraw, a portion of fees can be refunded. See the Refund Policy.